Open houses are a lot of fun. I've always found it interesting to tour homes and see what's been done with the place! Call me nosy, but I get enjoyment out of it. Of course, if you're touring an open house as a home buyer, you have much more to keep in mind than just the home decor. It's vital that you don't fall in love with a house at first sight. It's important to remain objective when shopping for a new home and look at all the details of the house, both good and bad. You may be tempted to excuse the little things, and that is more than okay, but don't let yourself get carried away and ignore "bad bones" in the house. Here are some things you can ignore as the home buyer attending an open house. Older carpets can be hideous. Remember the shag carpet everyone once had in their home? No matter how repulsive the carpet may be, it is certainly replaceable and not permanent. Fellow MilitaryByOwner writer Dawn Smith says, “Carpet removal and hardwood installation are some of friendlier DIY projects for a homeowner to attempt.” Overlook the ugly carpet and envision the house with your ideal flooring. Respecting your budget, you can easily replace dated appliances. Even better, you can do it at your own pace. Old appliances will not keep you from moving in, and they certainly will not keep you from living comfortably. At most, they will be hard on the eyes and function less effectively than brand new appliances. Having said this, in her post Don’t Make These House-Hunting Mistakes! Dawn says, “Don’t let desperation invent handyman skills you don’t possess.” So keep your limitations in mind while you attend open houses. You can generally overlook small stains. More often than not, smaller stains are caused by pets, spills, or minor accidents and can be removed by calling a professional cleaning company or replacing the carpet. While ugly carpet, dated appliances, and small stains can be overlooked, there are some things that cannot be ignored as a potential home buyer. Stains in the flooring and ceiling could indicate more than pet stains or forgotten spills. In When to Walk: 5 Red Flags at an Open House, Karina states that “if you find that the rugs are concealing large stains, that could indicate water damage, which could suggest anything from plumbing problems to structural problems” and you will want to investigate further. If the stain is, in fact, due to water damage, then you will not only need to replace the floor but also the subfloor. This kind of repair is obiviously bigger than a throw rug can handle and infinitely more costly. 2) Peeling or fresh paint. Peeling paint indicates that there may be water damage or cracks in the wall, and cracks can indicate a shift in the foundation. Some may be minor, as a house foundation will progressively shift over time. However, "Bulges or cracks bigger than one-third inch can mean the house has serious structural issues." (source) The home owner may try to distract your eye by putting a recent coat of paint on the wall or placing large decorative pieces to cover the crack. Don't be afraid to shift things around as you look. Remember, you are preparing to make a large investment. It's okay to ensure you're investing correctly! Opening closet, basement, and attic doors may help you identify the mysterious smell they're covering--most likely mold. Don't be discouraged when attending open houses. As a home buyer, it is your job to learn everything you can about a house. Understand your abilities, keep your repairs within your budget, and focus on the details that matter and ignore the ones that don’t. 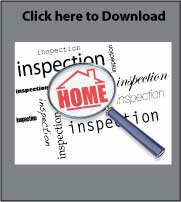 And of course, always get a home inspection before signing anything!